Emma Louise Townsend, 89, of East St. Vincent St., South Bend, In., passed away December 6, 2018 at Memorial Hospital, South Bend, IN. Emma was born November 22, 1929 to Charles & Fanny L.(Neely) Earl who both preceded her in death along with Edgar and Clar Horn, her uncle & aunt who raised her since the age of five, her husband; Earl Townsend, three brothers; Charles, Frank and Paul Earl and a nephew; Larry Earl. Emma graduated from Central High School and retired from Milady Shop after serving 40 years as a receiving manager. 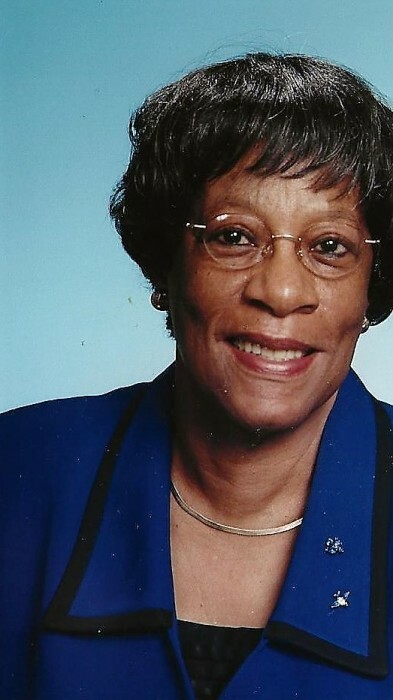 She was a member of Pilgrim Baptist Church for over 80 years where she served on the usher board and junior choir. Survivors include her nephew and niece; John and Debra Alexander they were her caretaker's, also her brother survives; Merrill Earl, two other nieces; Darlene and Wondar Earl, another nephew; Michael Alexander and a host of other relatives and friends. Services will be held at 12:00 p.m., on Wednesday, December 12, 2018 at Alford's Mortuary with viewing from 11:00 a.m., to noon. At Alford's Mortuary.